Aymeric Laporte says he was "jealous"watching France win the World Cup as his international tug-of-war with Spain continues. The £57 million ($74.9 million)French-born Manchester City defender, who is of Basque descent and qualifies for Spanish residency having spent eight years at Athletic Bilbao, represented Les Bleus at youth level but failed to make a senior appearance. Now new Spanish manager Luis Enrique is keen for him to join his squad ahead of the Euro 2020 qualifiers. He was then called up by France and declared his intentions to play for the country of his birth. But a failure to find a way into Deschamps' plans has seen Enrique urge him to change his mind, according to a report in Mundo Deportivo this week. Spain's disappointing showing at the World Cup together with the search for a ball-playing defender to eventually replace the likes of Sergio Ramos and Gerard Pique has intensified the move for Laporte. Aymeric declined to comment on his international future when asked about the Spanish reports during City's pre-season tour of the United States. But the 24-year-old acknowledged he had conflicting emotions while watching France win the World Cup. "It was jealousy to be honest," he told reporters about how he felt watching France's World Cup win. "The decisions were made and you just have to accept them. That's how it is in football. "It didn't come as a surprise to me that I wasn't involved. I hadn't been in the previous squad that had been named without me. "But it was still a little disappointing for me not to be involved." 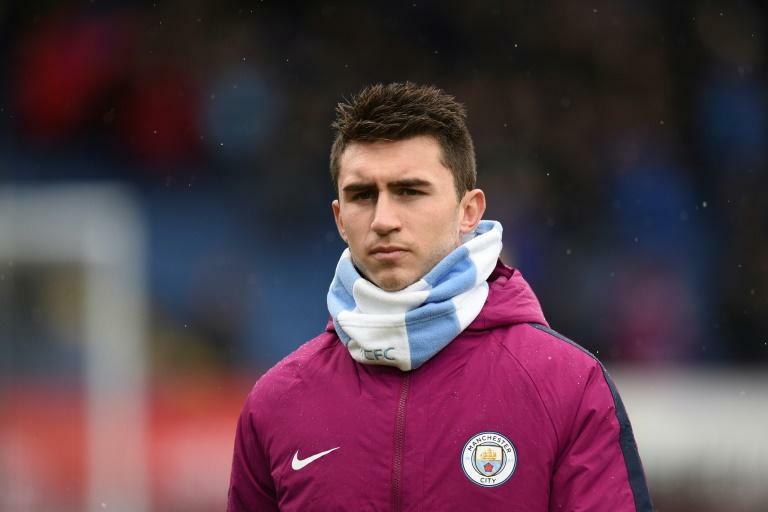 Laporte, who missed Friday's defeat to Borussia Dortmund in Chicago through injury, knows dislodging the likes of Samuel Umtiti and Raphael Varane will be difficult and under Pep Guardiola, he can become the stylish center-half Spain are desperate for. "I had a really good six months here," he added. "It's been a great move - a perfect move for me. "Pep is the best manager in the world, he's always looking to help me get better and improve my game. "He's demanding yes but it's not scary - his is a style of play that I really enjoy and I think I can improve and so can the team playing like this. "I'm comfortable with what he asks me to do." City, meanwhile, will complete the free signing today of PSG midfielder Claudio Gomes. The highly-rated French youngster has been training with Guardiola’s side but the club wanted to wait until he turned 18 to finalise the move and therefore avoiding the bureaucracy which comes with signing a player under that age.